So, be careful little mouth what you say. If I were to ask how many of you have heard this children’s song, most would say yes, once or twice, in Sunday school or at Vacation Bible School. Even though this song was written for children, I think adults should wake up singing it every morning, then at lunch time, and then maybe on the way home from work. In our classroom hangs a poster with these words, “before you speak, THINK, T-is it true?, H-is it helpful?, I-is it inspiring?, N-is it necessary?, K-is it kind?” This poster isn’t just for our kids, but it’s also for me. 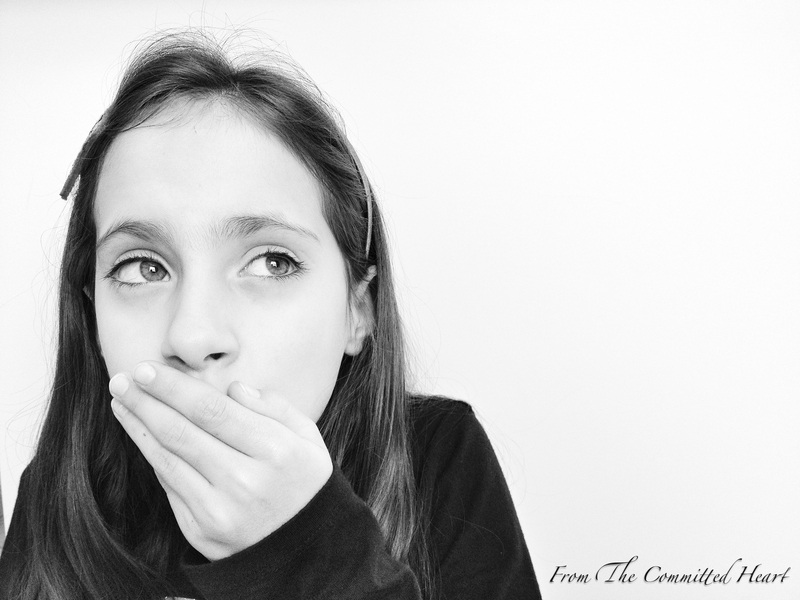 Did you know there are over 130 verses in the Bible about taming the tongue. We are given warning after warning through these verses, but yet we ignore His word and speak from our harsh and unrighteous emotions. Below I listed a few Bible verses that speak on taming the tongue, I encourage you to write them down in a journal or in the back of your Bible. Spend time daily looking over the verses and memorizing them, then make a conscious decision to T-H-I-N-K before you speak. My daughter, Victoria (6 years-old), recently went to a girl at church and said she was sorry for something mean the little girl said to her last week. Yes, that’s right, Victoria did nothing wrong, but wanted to start out her conversation by saying sorry, in hopes something good would come out of it. Victoria then asked, “can we be friends?” The girl replied back, “no, I already have friends.” Victoria, then said, “you can never have too many friends!” This story pierced my heart, hearing that someone was mean to my little girl angered me, but at the same time I was so proud of Victoria for choosing her words wisely and not retaliating with hurtful ones. Dear Lord, help our words to be full of grace, mercy, and love. Let us be slow to speak and quick to think about how our words can bring life or death. Help us to speak with wisdom and not with our emotions. In Jesus name Amen! Some days, life feels perfect. Other days it just ain’t workin. We can turn a heart with the words we say. Mountains crumble with every syllable. So speak Life, speak Life. To the deadest darkest night. When the sun won’t shine and you don’t know why. You speak Life, You speak Life. Other days my thoughts just fall apart. It’s like I’m drowning in the deep. Hope can live or die. When you speak life with the words you say. When you speak life with the things you say. Some days life feels perfect. If you want to watch the music video to “Speak Life”, click here. This entry was posted in Life, Spiritual and tagged Mouth, Speak Life, taming the tongue, tongue, words by fromthecommittedheart. Bookmark the permalink.